It seems like Germany is where it’s at these days! Apart from Autobahns, and some of the best beer on the planet, this week it’s the ‘Champions League Final’ (we’re talking Football here people)! 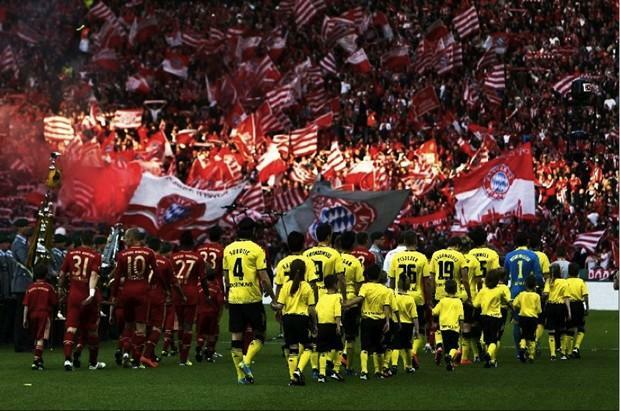 We will see Bayern Munich take on Borussia Dortmund in the first ever ALL GERMAN finale! To celebrate the occasion, I – and a number of German supporters – will be heading to the local Hofbrauhaus in Melbourne for some Wurstplatte and a pint of Paulaner before watching the game (I do hope it’s open at 5am Melbourne time). But enough about football and wurst – I could write about both all day! Why are we talking up all things German? Well, because Yellowfin is going German! This month’s release of the latest version of Yellowfin’s Business Intelligence solution – Yellowfin 6.3 – will see Yellowfin translated into Deutsch. Thanks to our friends at the Universität Konstanz (thx Sebastian), we’ll have an all-new language pack for you to enjoy! As part of any new install, just choose the German language pack. For those upgrading, just contact Yellowfin Support (support@yellowfin.bi).